Please refer to our stock # 167 when inquiring. 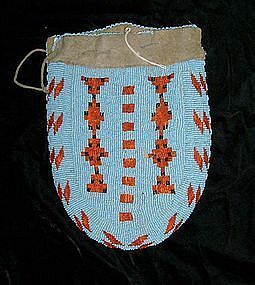 Early over-sized beaded hide pouch with real beads (next step down from pony beads). Buffalo or thick elk hide. 11" by 8".